What is hypnotherapy? Cognitive Behavioural Therapy Counselling Download the brochure FAQ Treatments -Hypnoanalysis -NLP Hypnosis -Suggestion Hypnosis Myth or fact? What is hypnosis? What is hypnotherapy? 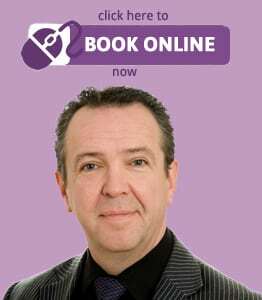 Relationship Counselling Bournemouth and Dorset. To understand why things can go wrong, it’s useful to know what should be right from the beginning. 1. There has to be a CONNECTION. What we tend to admire most in others are the qualities that we hold dearest in ourselves. Sometimes if we find a few key qualities in another person, we begin to idealise them and assume they must have all the other qualities important to us – usually a mistake. If however someone genuinely has these qualities it is likely that a strong connection will be felt towards them. 2. There has to be IMMEDIATE physical attraction. Of course, an intimate relationship can grow from friendship, but this can become a brother and sister-type interaction over time, which can increase the chances of an affair. Attraction is not a choice. It is either there or not. However, attraction on its own is not enough. By itself it is meaningless because it is instantaneous, involuntary and fleeting. Attraction can also be lost during a relationship and is often a major contributor to break-ups. 3. The absence of ‘deal breakers’. She might be ‘perfect’ but she’s also a crack addict, or he’s wonderful but he beats me, or she’s an axe murderer but other than that, she’s my ideal woman. I am obviously exaggerating to make a point, but I’m sure you can see where I am coming from. Insecurity, jealousy and emotional instability are more examples of ‘deal breakers’ for many people. 4. There has to be quality time spent together, which includes SHARED experiences, communication, empathy and support. This can often get neglected and end a relationship. Resentment and dishonesty can also deal heavy blows to relationships. Dolphin Hypnotherapy’s relationship counselling in Bournemouth is designed to help you fix what’s wrong with sessions that are tailored to getting to the root of a problem rather than trying to prove who is right and ultimately, make each other feel bad. Therapy can help you remember the reasons why you got together in the first place and rebuild emotional closeness. Attention will be devoted to honest and open communication, rediscovering each other and practical problem solving with win-win scenarios. To find out more about relationship counselling and marriage guidance Contact Dolphin Hypnotherapy now, or book online using voucher code INITIALAC for your FREE 1 hour assessment consultation. (Please note that in the event of non-attendance or cancellation with less than 48 hours notice, our standard consultation fee will be charged). If your relationship needs some immediate help, try the simple tip of removing the words ‘you’ and ‘but’ from your discussions. If you’re finding this hard, contact us for more help and advice. We are here to help you take the next step in fixing your relationship. Copyright © 1994 – 2018 T. Roberts, Dolphin Hypnotherapy Bournemouth and Poole, Dorset. All rights reserved. – Areas we cover include, but are not limited to, the following towns and villages throughout Dorset, Hampshire and Wiltshire – Bournemouth, Boscombe, Southbourne, Poole, Parkstone, Branksome, Sandbanks, Westbourne, Ferndown , Christchurch, Highcliffe, New Milton, Lyndhurst, Lymington, Swanage, Studland, Wareham, Blandford, Sturminster Newton, Shaftesbury, Dorchester, Weymouth, Bridport, Merley, Wimborne, Broadstone, Corfe Mullen, Fordingbridge, Verwood, Ringwood and Salisbury.